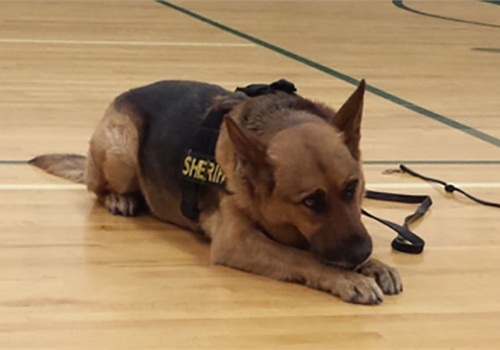 A two-year-old Michigan boy was returned home safe and sound after he wandered off Tuesday night thanks to a Newaygo County Sheriff’s Department K-9 named Turbo. A search for the missing child began immediately after the family dialed 911, but the area where he went missing is partially wooded, and no one knew for sure which direction the boy had gone. Turbo and his handler, Deputy Phil Green, were brought in to help with the search, and before long Turbo had picked up the boy’s sent heading into the woods, DogTube.us reports. The toddler was found between five and six hundred yards into the woods. Thanks to Turbo’s nose and training, the child was safely reunited with his family that night. Turbo and Green have been working together for about nine years, but this may be one of Turbo’s last rescues. Due to his age, he is set to retire later this year.